A service which has been provided to an aircraft and passengers during landing and take-off comprises under ground handling services. These services are delivered with the help of equipments commonly known as ground support handling equipments. Emerging air transport business has propelled the demand for ground handling equipments. Rising demand for services in aviation industry is likely to impact positively on aircraft ground support equipment market and increase the quality services for passengers. Ground services can be provided by private airlines companies or by third party vendors. As per International Air Transport Association (IATA) over 50% of airline companies outsource the ground support services to third party vendors or private non-airline companies. 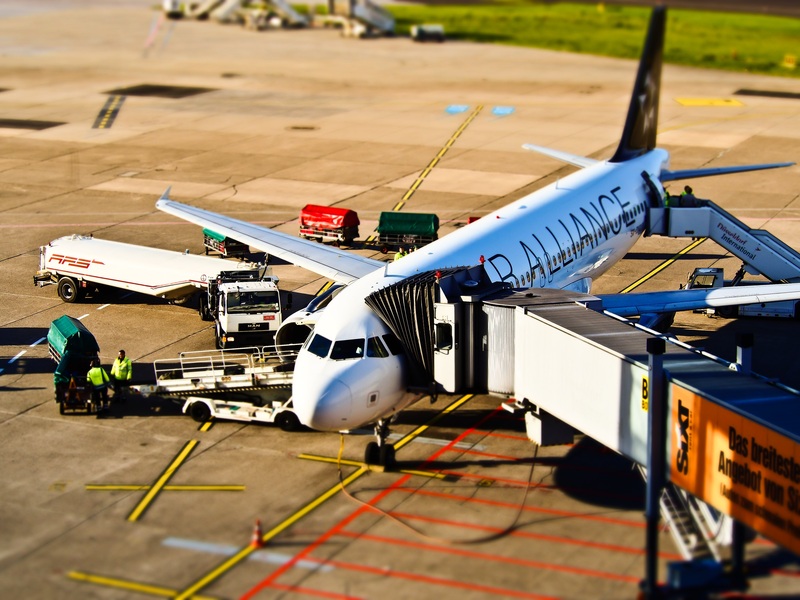 Increasing number of airports and extension of existing airport terminals is expected to flourish the demand of aircraft ground support equipment market across the globe. Rapidly increasing number of new aircrafts and up-gradation of existing airports facilities have fostered the demand for advanced ground handling equipments and services. Global aircraft ground support equipment market is projected to grow at CAGR of 11.25% over the forecast period i.e. 2016-2024. Global aircraft ground support equipment market was valued USD 12.1 billion in 2016 and is expected to reach over USD 27.5 billion by the end of 2024. The rising number of flight travels across the globe, especially in developed countries, is creating pressure on airport authorities to increase the ground support services for passengers and airliners. This rising number of aircraft fleet on international airports across the globe is increasing the demand for aircraft ground support equipment. Geographically, North America region dominated the global aircraft support equipment market with a market share of more than 36% in 2016. Further, North America aircraft ground support equipment market is anticipated to reach USD 10.1 Billion by the end of the forecast period i.e. 2024. U.S. has total number of 15,071 numbers of airports, which makes this country at the top in terms of air traffic. As per Bureau of Transportation; rising number of international flights has increased the Revenue Passenger-Miles, (RPMs) by 5% accounting for over 890 million passengers in United States. Availability of large number of domestic passenger airlines and Cargo airlines in North America are the major factors to hold the global dominance in aircraft ground support equipment market. However, positive growth in aviation and tourism industry in countries such as China, Singapore, Hong-Kong and India are expected to surmount the market dominance of Asia-Pacific aircraft ground support equipment market during the forecast period i.e. 2016-2024. Countries such as Dubai and Qatar are gaining business traction and expansion of tourism industry has increased the air traffic thus raising the demand for airport facilities and operation management. Europe has moderate market growth for aircraft ground service equipments. European airports provides for over 12 million employments which contributes 4.1% of GDP which valued USD 790 billion annually in Europe. Growing air transport industry demands for high security but European airports receives less or no funds to improve aviation security. This is the major factor which is prohibiting the market growth of aircraft ground support equipments in Europe. However, rapid growth in number of airports and expansion of services for cargo services in Brazil and Russia is expected to contribute a significant growth for Europe and Latin America region. Mexico is one of the fastest growing industrialized nation and has blooming tourism industry. Mexico has over 1800 airports where 95% of airports provide passenger travelling. Brazil is one of most demanded tourist destinations reported around 4,000 airports. The aviation and tourism industry of the country has more expanded after becoming the official host of FIFA world cup 2014. Electric powered ground support equipment is expected to witness a healthy growth due to increasing demand of energy efficient equipments. Airport authorities are inclining towards advanced and energy efficient aircraft ground support equipment which is triggering the demand for electric powered aircraft ground support equipment. Expansion of aviation industry across the globe is raising the demand for ground operations and quality of maintenance services. Airport authorities and airlines are inclining towards ground handling and maintenance of operations. Declining in air ticket prices have increased more number of passengers resulting in the increase in number of domestic and international flights. Further, the rising number of air traffic spurs the demand for aircraft ground support equipment. Airline companies are also focusing to improvise the existing ground support services either by providing the services by themselves or through third party vendors. Moreover, high demand for quality and specialized security in military aircraft handling has driven the market for aircraft ground support equipments. However, multiple ground handling equipments together can become inefficient, sometimes this leads to flight delays. Increasing labor cost and lack of skilled work force is affecting the economic loss to the airport transport sector. Furthermore, rising number of ground handling staffs demands more number of ground support equipments which will lead to reduction in marginal profit. High operational and handling costs are restraining the market expansion of aircraft ground support equipment. United States has maximum number of airports which is around 15,071 shows the strong internal and external communication of the country. Whereas Canada has over 1,330 airports but due to high taxes and fees, lower class passengers cannot afford to travel. High price for air tickets including landing and terminal fees has decreased the number of passengers as low and middle class passengers opt more for cheaper flights. Emerging tourism and aviation industry in Asia Pacific and Middle East have increased the number of passenger’s traffic at airports. Singapore’s Changi Airport, passengers have increased and accounted for over 58 million passengers in 2016. In Australia, Melbourne airport has highest number of international travelers. In December 2016, Melbourne airport has recorded departure of 952,855 international passengers. This tremendous growth of international passengers is expected to swell the demand for aircraft ground support equipment. Australian government has invested nearly USD 200 million in improving domestic aviation industry. In 2004, around 440 airports were recorded in Australia. Due to increasing need for strong air communication, government is more focused in the expansion of aviation industry. These initiatives from the government authorities further create huge opportunity for the aircraft ground support equipment manufacturers to explore the untapped market of Australia.